LOL That looks amazing! I'm a NY'er as well, though I'm outside of the city. Looking forward to the book! Can we have one of those cars touring around Toronto please? I would let 'them' wrap my car! I would love that. Really cool. Oh yes! Wrap my car! PLEASE!!! Definitely excited about this. Are you doing any kind of event at the Jean Cocteau for it later? I'd pre-order it but know you'll probably have signed copies of it available there. 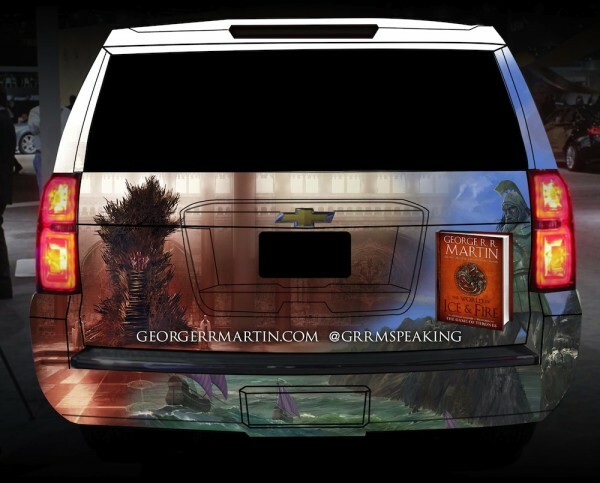 I know a NYCC car wrap mockup when I see one. Too bad the text on the doors is nearly unreadable. Should we assume that it will always be in hardcover and not come out in paperback? No, I imagine there will eventually be a paperback. However (1) it will be an oversized trade paperback, since there's no way all that art can be squeezed into a tiny mass market, and (2) it may not be released for years. This is so freaking cool! :D I bet you never would have imagined that not only would your name be plastered on vehicles (that alone would be completely surreal if it were me) but that your creation would blow up to the level of success that it has back when you started this. I can't wait for this book. I'm not exaggerating when I say that I'm counting the days! I don't think I've ever been so excited to read fake history before. Is there any way we can get copies that are signed by all three of you? That might be hard. Elio and Linda live in Sweden, and I live in New Mexico. Best bet may be next June, when I will be attending a convention on the island of Aland, between Sweden and Finland. Since that's in their back yard, Elio and Linda MIGHT show up, though I have no firm confirmation on that. If they do, well, that's the most likely place to find all three of us in the same place at the same time. Just in time for my birthday yeeeesss. I can't wait! The ads for the last two GOT seasons in NYC have been amazing. They were all over the subways, bus-stops, and buses. The three-eyed raven was everywhere. This year Seinfeld did something cool where they covered entire 7-trains in Seinfeld-themed wrapping. 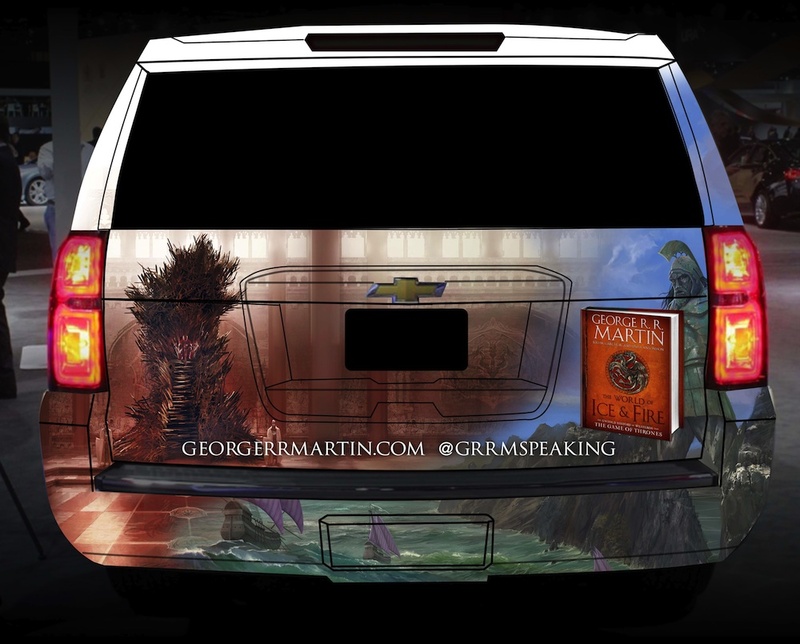 Can't imagine getting up in the morning and hopping on a GOT or ASoIaF-themed train. Coffee would have to settle for being the 2nd best part of that morning. So do this post and the previous on your b-day mean that this year you will write like a devil on "Winds"? While reading your next outing is high on my list of most exciting things to look forward to, I do suggest you also just enjoy what will hopefully be another devilish good year!